Superdry women’s Rock rhinestone hoodie. Be comfy and stylish in this overhead hoodie. 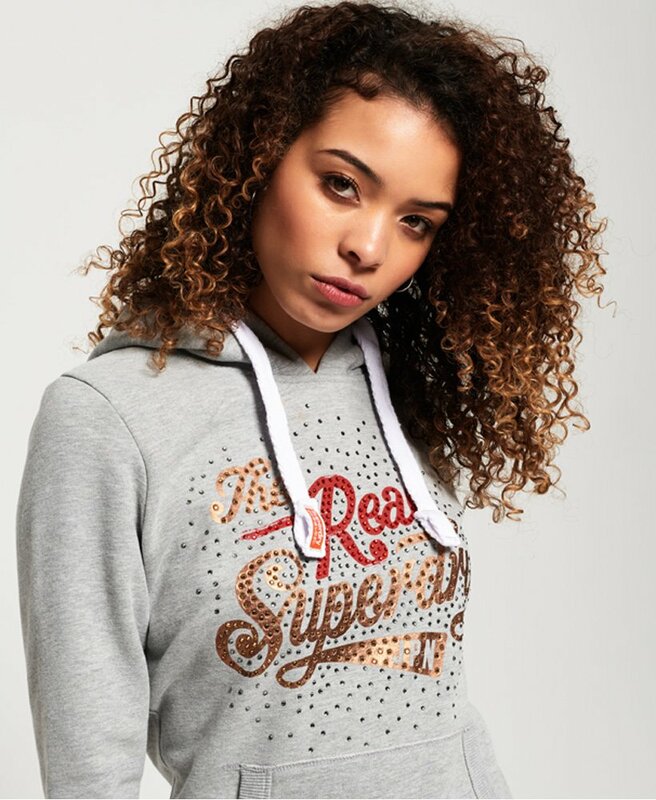 Featuring a drawstring adjustable hood, a front pouch pocket and a Superdry logo design on the front with rhinestone detailing. The hoodie also features ribbed cuffs and hem and is finished off with a logo tab in the side seam and the signature orange stitch on the other side seam.